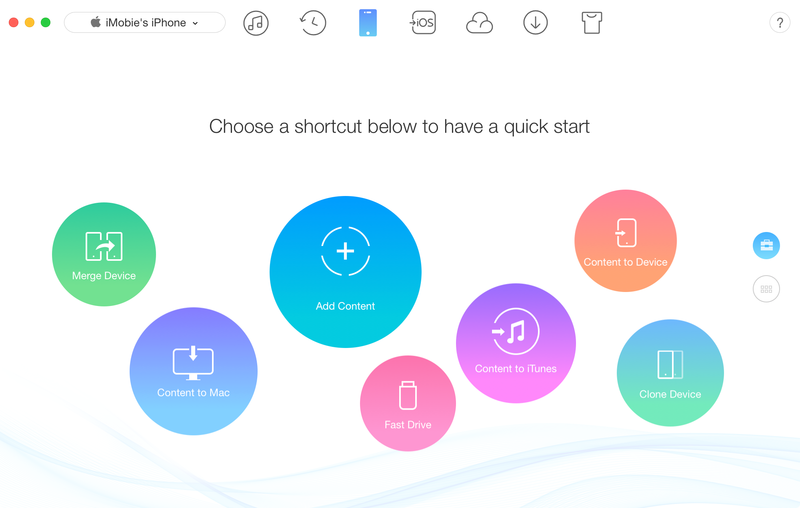 Using iTunes is the easiest way to organize and play your media. 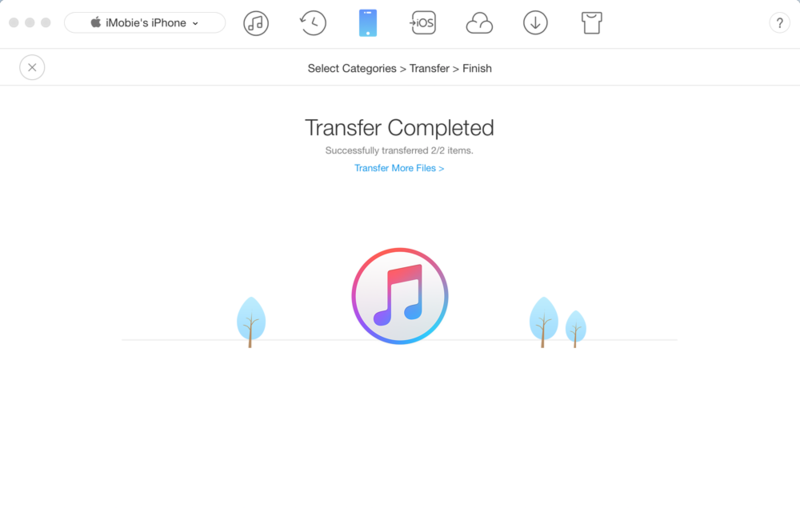 However, if you are trapped in iTunes crash situation and all contents are lost, AnyTrans is your optical option to rebuild iTunes by transferring the contents on iOS devices to iTunes, including music, movies, TV shows, books, ringtones, photos, audiobooks, voice memos, apps and more. Please refer to the following guide to make good use of AnyTrans. 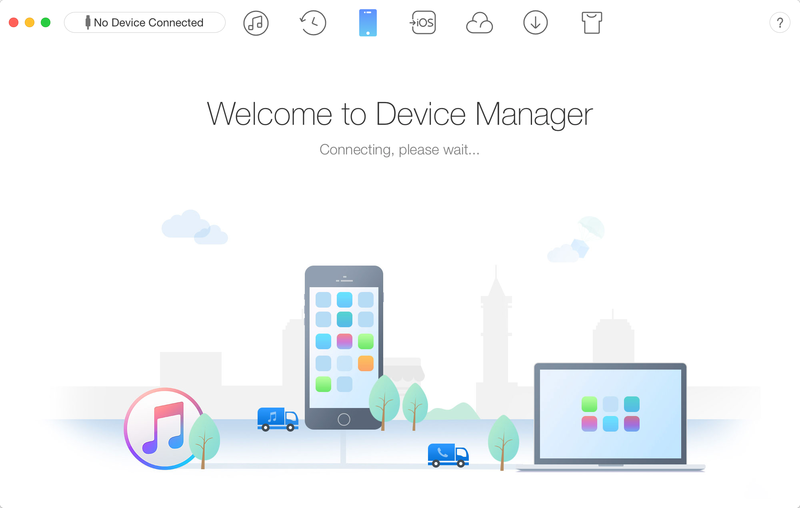 By default, AnyTrans will detect your iOS device automatically. If you don't connect your iOS device to computer or your iOS device is not recognized, you will see "Connect your iPhone, iPad or iPod to start" on the interface. The supported file category will be loaded automatically. AnyTrans only lists the file icon for you to select when your iOS device has such file types. 1. Apple blocks permission to access app files with iOS 8.3 and higher due to security issue. 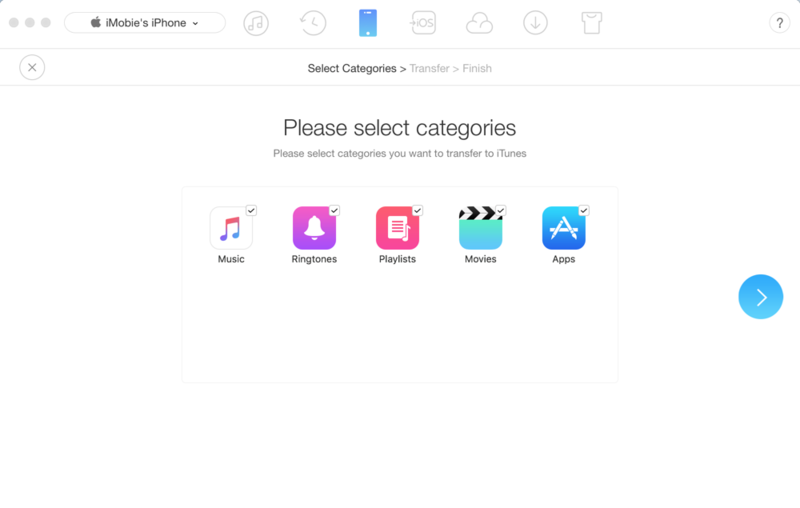 Thus, AnyTrans fails to transfer Apps to computer currently if your iOS device is iOS 8.3 or latter. 2. For Mac OS version 10.9 or higher, books are stored on the iBooks app direclty instead of iTunes, so AnyTrans will fail to transfer books to iTunes. 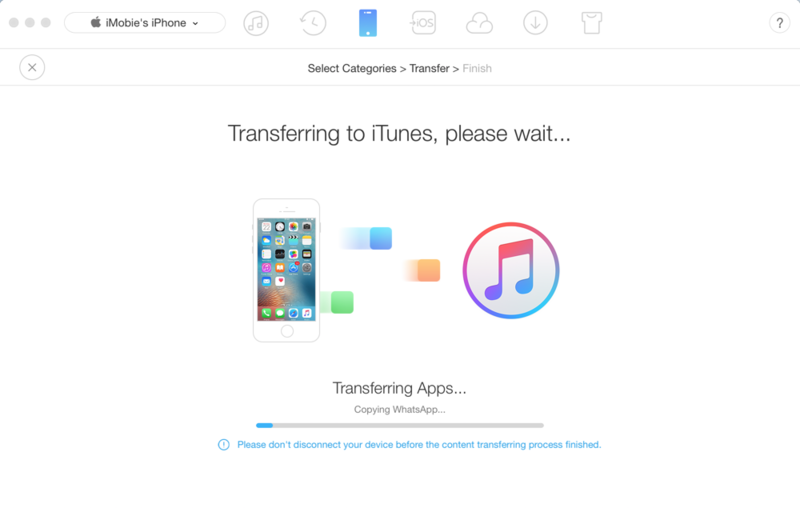 The time of transferring contents varies based on the size of your contents. Please keep patient. Meanwhile, given the importance of your data, please do not disconnect your iOS device before finishing transferring process. Once the transferring process is completed, you will see Transferring Completed Page. To go back to the previous page, please click "Transfer More Files".